The location in travestera was more than superb. And Barbara a truley exceptional host. 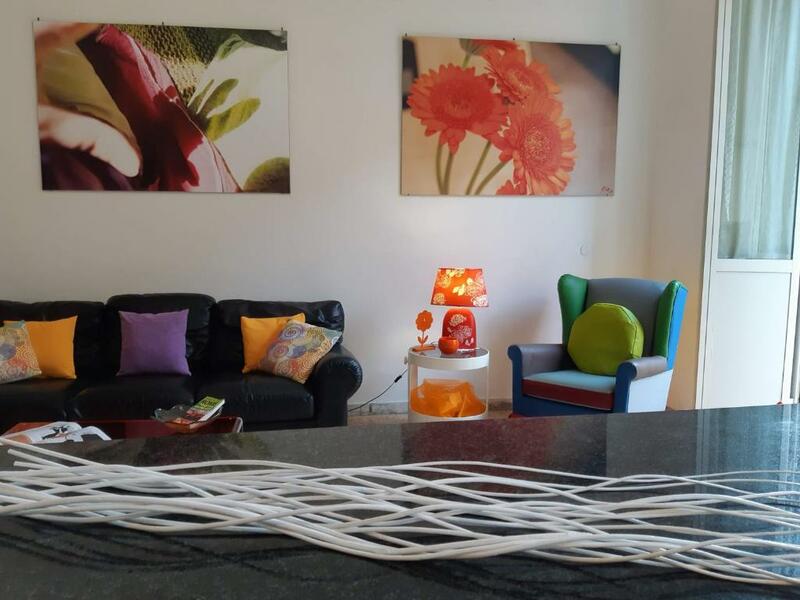 This is in an excellent location and perfect place to stay for a family with children. The rooms are large and with plenty of space to spread out and have privacy. 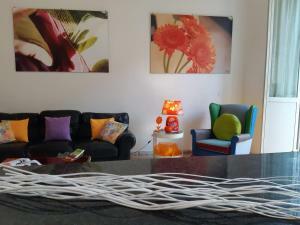 It is well equipped for a very relaxed, comfortable stay. There is a bathtub in one of the two bathrooms. The kitchen is well furnished to make meals in the apartment. My teenaged daughter and I stayed a week and we found it comfortable, clean, and an ideal location. We could have easily stayed longer. I definitely recommend this property. The host was exceptionally kind and responded quickly to any questions we had. The balcony and large windows gives the apartment plenty of light. There are beautiful trees out front, so it feels like you are staying near a park. Wonderful place! 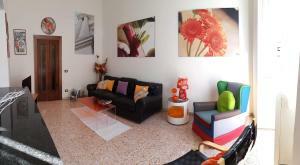 Clean apartment with good space for a family. But too much noise from the street during the morning hours. Perfect location! We walked to all of the attractions. The apartment fully matches the photos. Very clean! There is everything you need. We were 5 girls and it was very comfortable for us. Our host Barbara was pretty kind! She gave us a map and showed us shortcuts to the main attractions, also recommended typical restaurants. We are very pleased! Perfectly organized, clean, big apartment. Well located in quiet and nice area. The location is perfect. Very close to the heart of trastevere. With nice trees in front of the building, a small balcony to enjoy the street live with a coffe. Hint: You really have to get some tortellini and salsa at the tortellini shop around the cornern and eat it in the great kitchen. Owner extremely helpful able to recommend several restaurants. Also explained tram/buses etc and how to get around. Very spacious, three bedrooms. One bathroom is big (the other is very small: just a toilet, shower and sink). Dishwasher, washing machine. Good location, many restaurants etc. in the neighbourhood. Extremely nice host. Lock in a great price for Mameli Trastevere Apartment – rated 9.6 by recent guests! 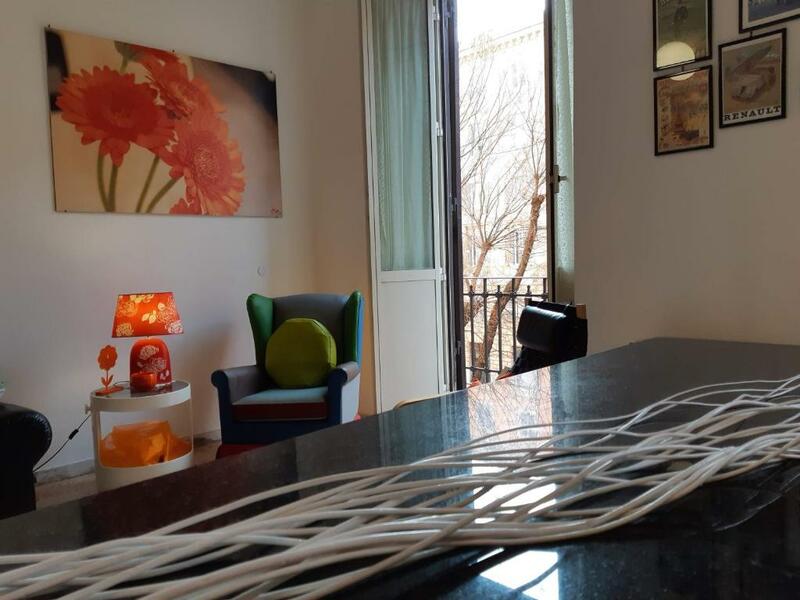 Located within the Trastevere district in Rome, Mameli Trastevere Apartment has air conditioning, a balcony, and city views. 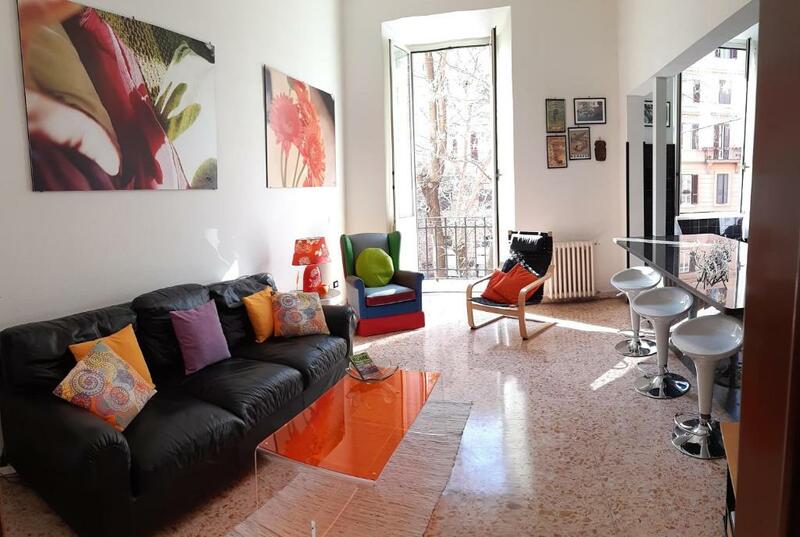 Housed in a building dating from 19th century, this vacation home is a 17-minute walk from the Piazza di Santa Maria in Trastevere. The vacation home has 3 bedrooms, a kitchen with a dishwasher and a bathroom with a bath. A flat-screen TV and DVD player are offered. 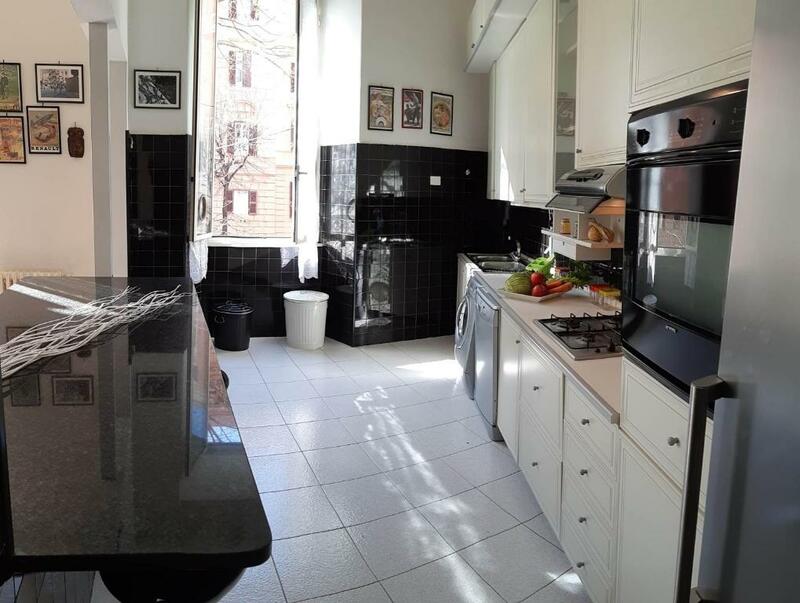 Campo de' Fiori is 1.3 miles from the vacation home, while Great Synagogue of Rome is 1.4 miles from the property. 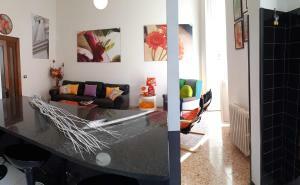 The nearest airport is Ciampino Airport, 10 miles from Mameli Trastevere Apartment. Trastevere is a great choice for travelers interested in food, city walks and culture. 뀐 Located in the real heart of Rome, this property has an excellent location score of 9.8! When would you like to stay at Mameli Trastevere Apartment? This apartment has a oven, toaster and kitchenware. Trastevere represented one of the more cosmopolitan districts in Rome. As with every cosmopolitan city, it was a melting pot of cultures, cuisine and customs. To this day, the "Trasteverini", the inhabitants of Trastevere, are "authentic Romans", known for their dialectic use of Italian and down to earth "live and let live" approach to life, who for centuries have lived in a working environment of cultural integration. Area Info – This neighborhood is a great choice for travelers interested in food, city walks and culture – Check location Excellent location – show map Guests loved walking around the neighborhood! 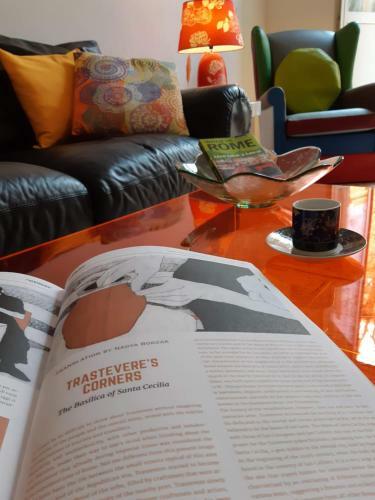 House Rules Mameli Trastevere Apartment takes special requests – add in the next step! A EUR500 damage deposit is required on arrival (around USD562.17). This deposit will be fully refunded 14 days after check-out, as long as there isn't any damage to the property. 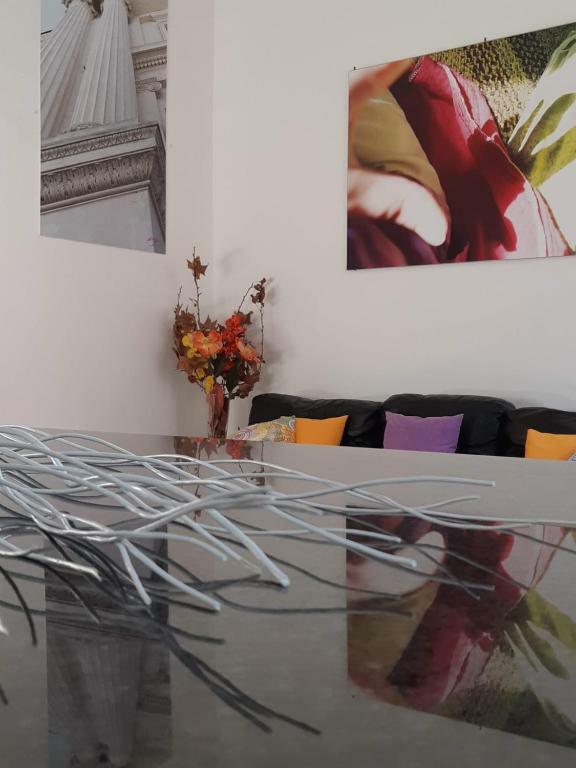 Mameli Trastevere Apartment accepts these cards and reserves the right to temporarily hold an amount prior to arrival. Please inform Mameli Trastevere Apartment of your expected arrival time in advance. You can use the Special Requests box when booking, or contact the property directly using the contact details in your confirmation. 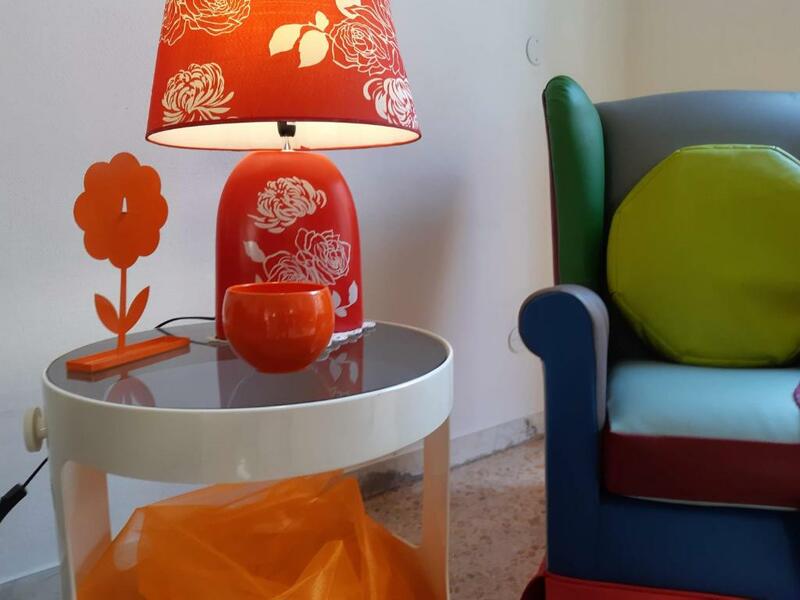 A damage deposit of EUR 500 is required on arrival. That's about 562.17USD. This will be collected by credit card. You should be reimbursed within 14 days of check-out. Your deposit will be refunded in full by bank transfer, subject to an inspection of the property. Not enough glasses for large group. Good location with a lot of bars and resturants close by. 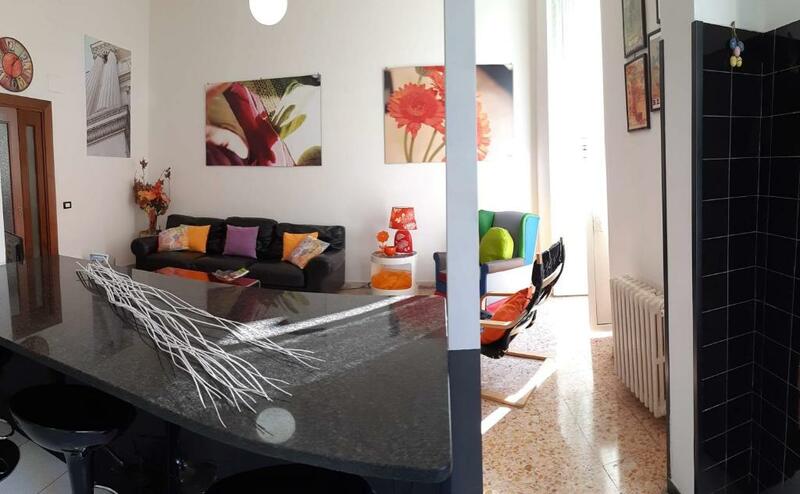 Walking distance to a lot of the main attractions. Buses are also close by. Friendly and service minded host. The street is not very quite, but I assume this is the case on many locations within Roma. The kitchen was poorly equipped, a microwave would have been very useful (especially with small children) The cutlery was inadequate, the toaster inoperative and the cleanliness of the oven of doubtful standard (especially galling when the excessive cleaning charge is considered) One of the single beds was particularly uncomfortable The heating system was somewhat idiosyncratic and not always up to scratch. The only negative was the dustbin depot opposite. It was very busy and noisey throughout the night and did effect out sleep...truck beeping, bottles clanking etc. Clearly a depot has to be somewhere, but operating all night is unreasonable. Almost everything...see my negative comment. Small things, not very important... But since you ask... The sofa's in the living room are not very comfortable, one of the single beds to soft. Some wineglasses and larger coffee cups would be nice. The elevator door can't be opened from the outside at the second floor so you have to go down the stairs (going up no problem). One of the bathrooms (with shower) was small. This isn't a big deal, because there are 2 bathrooms, but i liked the smaller bathroom for the shower. The bigger bathroom, the kids liked so they took baths in a tub (it also had a detachable shower head in it). This would not affect our decision to stay here, just an FYI.